Carmen Lee Reagles, 76, of Marne, IA, died Sunday, April 7, 2019, at her home. She moved to Lawrence, KS, in 1970, and was employed by Dr. Mary Boyden, Pediatric Allergist. 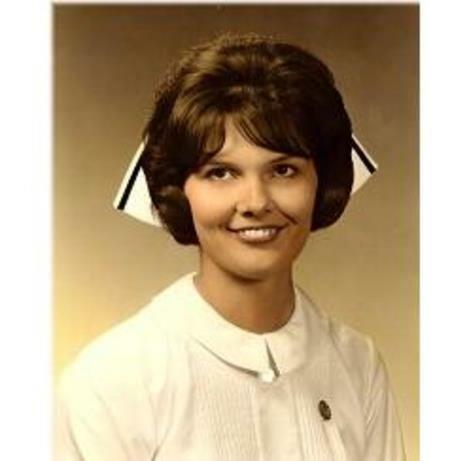 Carmen later became Director of Nursing at Cherry Manor, and worked at Lawrence Memorial Hospital in both IV Therapy and as a Night Supervisor for a total of 24 years. In her final position she specialized in IV Therapy and was the clinical coordinator. After 31 years in nursing, Carmen retired in 1997. Visitation, with the family present, will be held one hour prior to the service on Saturday, at St. Paul's Lutheran Church starting at noon. Funeral services will be held at 1:00 p.m., Saturday, April 27, 2019, at St. Paul's Lutheran Church in Atlantic, IA. Interment will be in the Atlantic Cemetery.